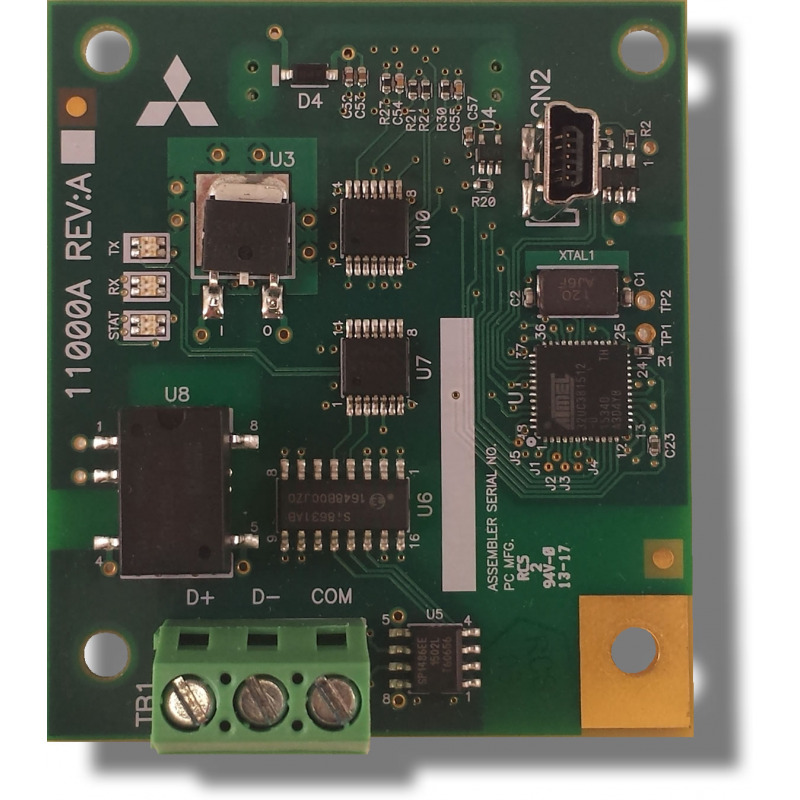 Mitsubishi 800-series ASD RS-485 option card. 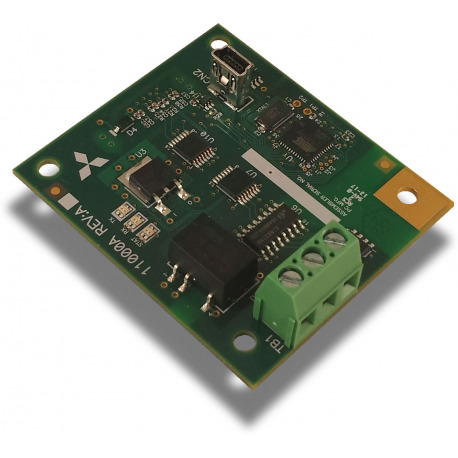 BACnet MS/TP, Modbus RTU, Metasys N2, Siemens FLN, and DMX-512 connectivity for Mitsubishi 800-series (FR-A800/F800) adjustable speed drives. 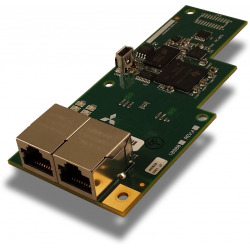 The A8NXLT RS-485 multiprotocol communication interface allows information to be transferred seamlessly between an 800-series inverter and several different RS-485-based fieldbus networks with minimal configuration requirements. The interface installs directly onto the inverter’s control board, and presents a fixed, screw-style terminal block for connection to the RS-485 network. Compatible inverter models include the FR-A800 and FR-F800. PLC-style logical, arithmetic and filtering data manipulation operations, called Database Logic, allow the construction of complex autonomous data conditioning and control functions. Configurable network timeout actions can also be programmed that allows parameters to have their own unique "fail-safe" conditions in the event of a network interruption. 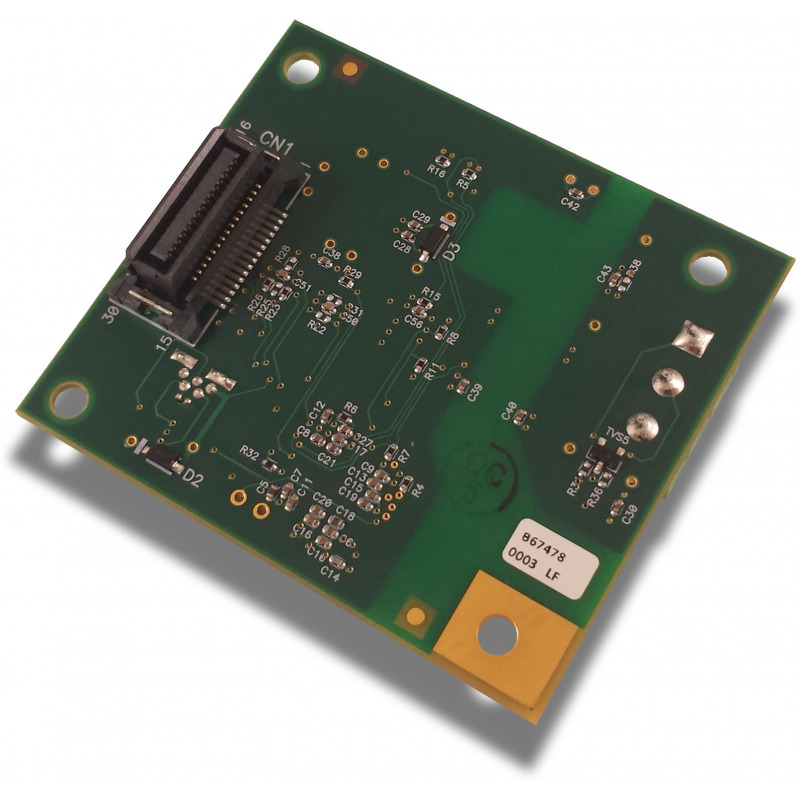 The option card also supports a versatile Generic Serial communication driver which allows integration with any serial device including proprietary or custom protocols using ASCII and/or binary encoding formats. 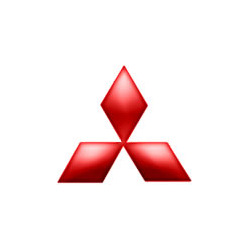 The Mitsubishi Configuration Studio is required to view, edit, and download configurations.